MDK-6314 is a STAT5 inhibitor with an IC50 of 47 μM for STAT5β isoform. FLLL32, a novel curcumin analogue, is a potent STAT3 inhibitor. Alantolactone selectively suppresses STAT3 activation and exhibits potent anticancer activity in MDA-MB-231 cells. SH-4-54 is a most potent, small molecule, nonphosphorylated STAT3 inhibitor, strongly binds to STAT3 protein (KD = 300 nM), is selective for STAT3 over STAT1. HO-3867 a selective and potent inhibit STAT3 phosphorylation, transcription, and DNA binding without affecting the expression of other active STATs. 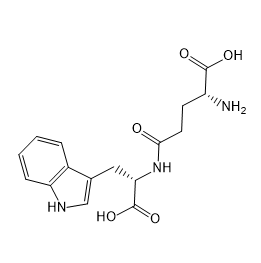 Debio 0617B has been developed as a first-in-class kinase inhibitor with a unique profile targeting phospho-STAT3 (pSTAT3) and/or pSTAT5 in tumors through combined inhibition of JAK, SRC, ABL, and class III/V receptor tyrosine kinases (RTK). Fludarabine, a DNA synthesis inhibitor. C188-9 is a STAT3 inhibitor. Diosgenin is a steroid sapogenin and the precursor for the semisynthesis of progesterone which in turn was used in early combined oral contraceptive pills.